My academic background is in Japanese language and culture. I have a BA in Japanese Studies and have lived in Japan three separate times. The Yen (pronounced en in Japanese, or 円) is the official currency of Japan and has been in production since the 1870s. As Japan is a cash-based society (meaning that most everyday monetary transactions are conducted in cash as opposed to credit and/or check), the Yen is a common sight in stores, stations, and restaurants. 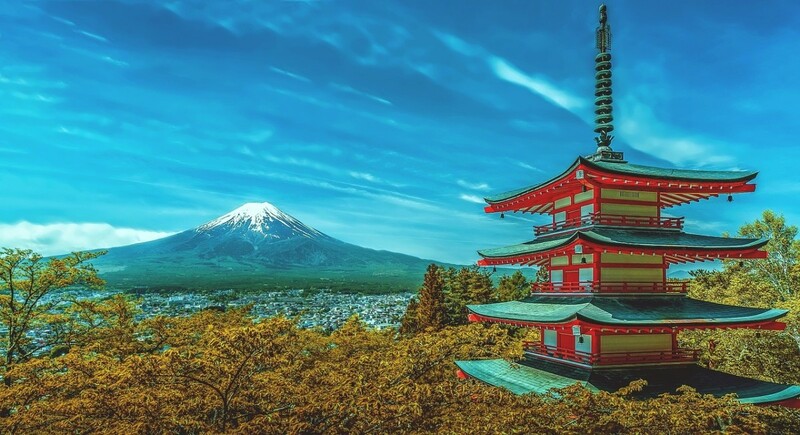 Almost any tourist or foreigner who is going to live in Japan for any period of time should familiarize themselves with the look and value of each Yen denomination (both banknote and coin) before going over. This article provides pictures and descriptions of each Yen denomination, including rarer notes and coins that one may still encounter when traveling around Japan. Front: The number "1" with the year minted printed in Japanese kanji beneath. Back: Sprouts of a small tree to symbolize the financial future of Japan. 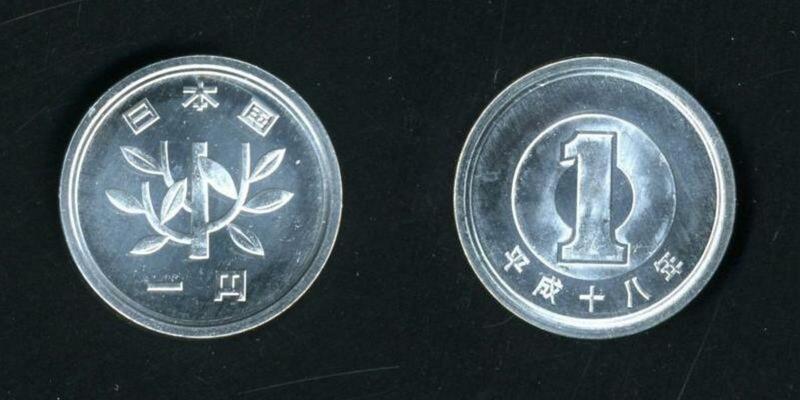 The Japanese one Yen coin is made of pure aluminum with a smooth edge. In today's economy the one Yen coin has almost no value (it's worth even less than the American penny) and is symbolically kept around more than anything else. These coins cannot be used in vending or ticket machines but may be used in paying with change at shops and restaurants. 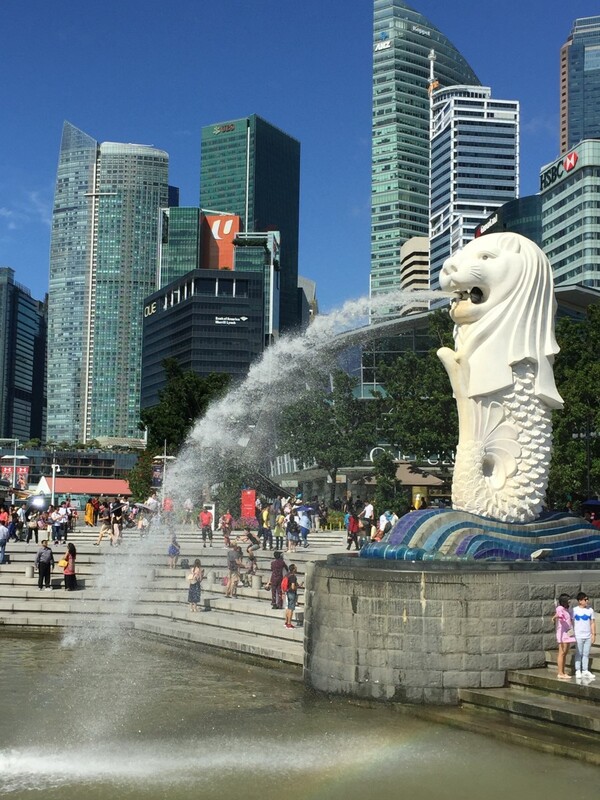 They are common finds in fountains, charity boxes, and prayer areas as offerings. Since a one Yen coin (is supposed to) weighs exactly one gram it may be used as a measuring device. Likewise, its buoyancy allows it to float in water if properly placed. Front: Growing rice plant with value written below in Japanese kanji. A gear turns around the hole in the center - both represent the agriculture and manufacturing industries of the Japanese economy. Back: "Country of Japan" written in kanji with the year minted, also in kanji, below. The two parts are separated by small tree sprouts. Five Yen coins were first minted with gold, but are today made from two-thirds copper and one-third zinc. 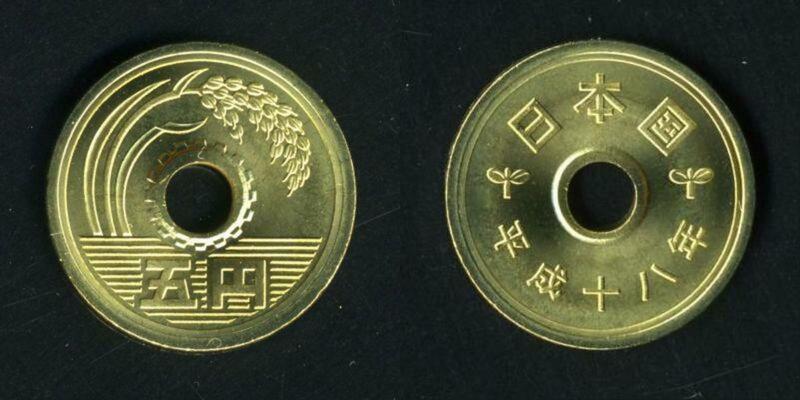 Because of its title "go-en" which can translate to "respectful connection", five Yen coins are considered to be fortuitous and lucky despite their low surface worth. They are often used as donations, especially at shrines, in an attempt to make a "respectful connection" with the local deity. 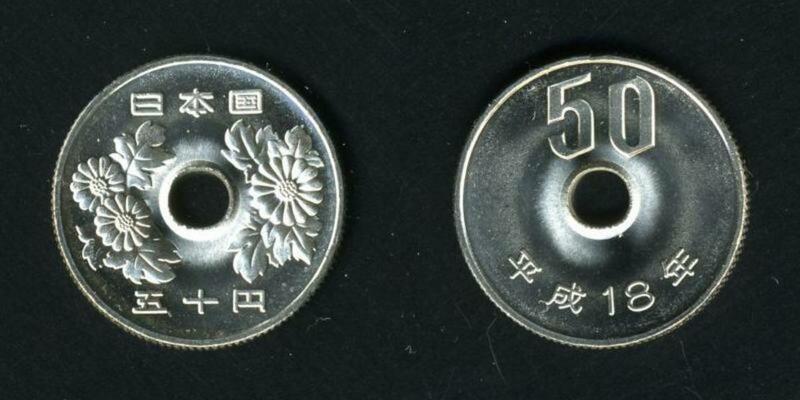 Five Yen coins are supposed to be the first coins inserted into wallets and change purses. A common use for them in modern times is to string a cord through the hole in the center and wear them as lucky pendants. These coins cannot be used in vending or ticket machines but may be used in paying with change at shops and restaurants. 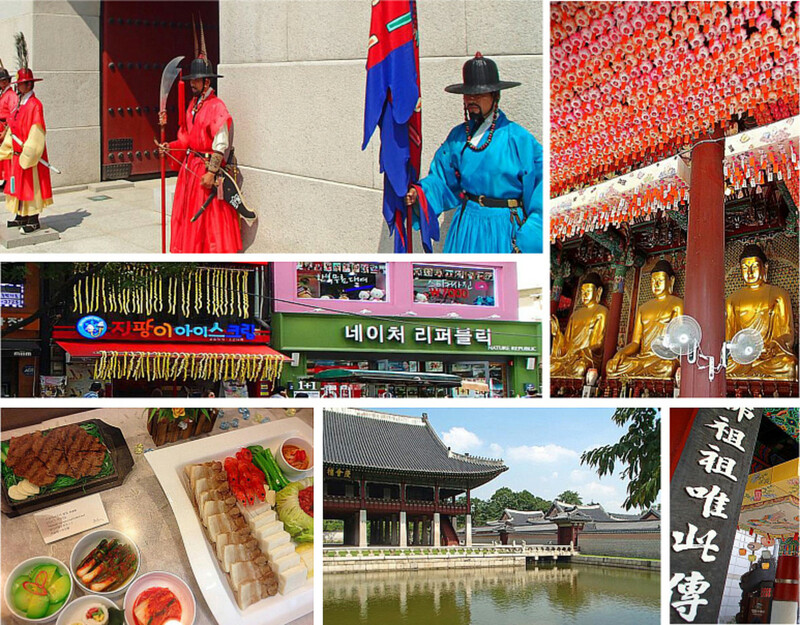 Front: A picture of the Byoudou-in Buddhist Temple in Kyoto with "Country of Japan" and "Ten Yen" written in kanji. 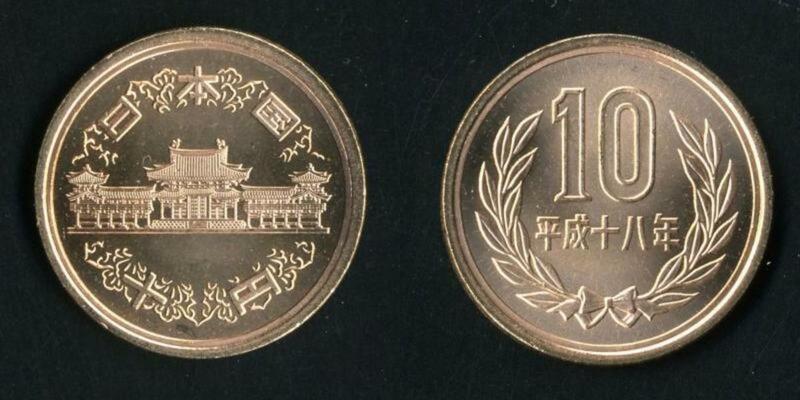 Back: The numeral 10 followed by year of minting written in kanji. Both are surrounded by bay laurel leaves. 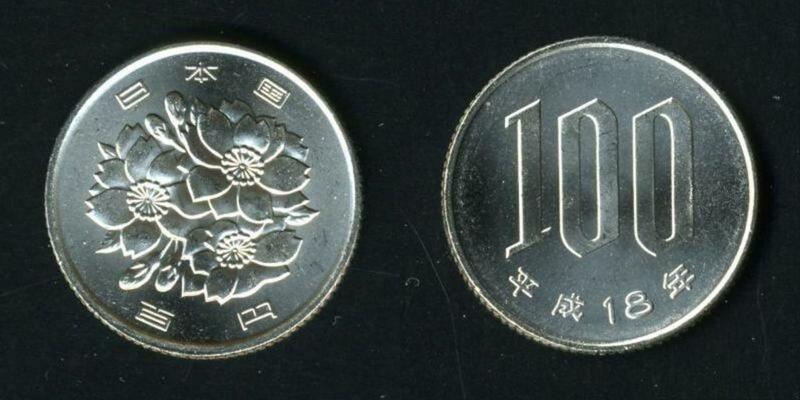 The ten Yen coin is made almost entirely of copper but also has some zinc and tin. It is one of the most prolific coins to appear in wallets and coin purses, making it a staple of the Japanese coin economy. 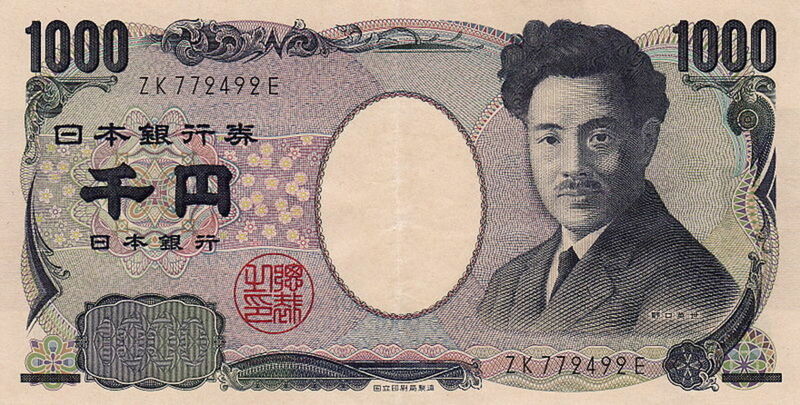 It is the lowest value denomination of yen to be allowed in vending and ticketing machines. Front: A chrysanthemum enshrouding "Country of Japan" and the value written in Japanese kanji. Back: The numeral "50" with the year of minting written in kanji below. 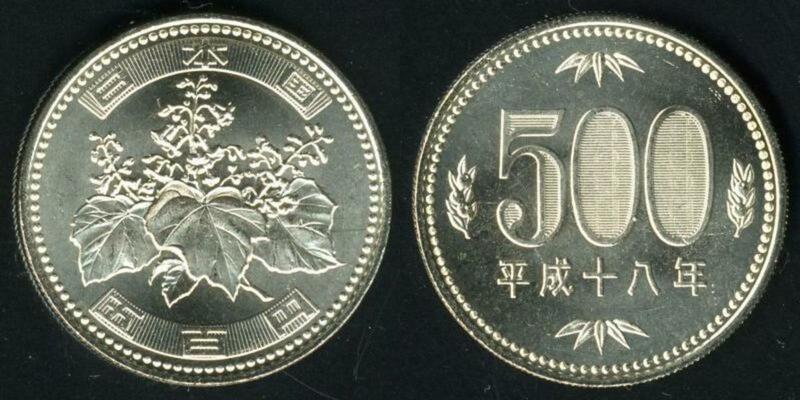 The 50 yen coin is comprised of three-fourths copper and one-fourth nickel. Although like the five Yen coin it has a hole in its center, the fifty Yen coin does not share its same fortune and is instead just a "normal" coin in value and cultural worth. Front: A cluster of cherry blossoms surrounded by "Country of Japan" and the value written in Japanese kanji. Back: The numeral "100" and the year of minting written in kanji. Made from three-fourths copper and one-fourth nickle, the one-hundred Yen coin is almost equivalent (depending on day-to-day rates) to the American dollar. But instead of a banknote, Japanese currency dictates that the Japanese "dollar" be in coin format, leading to the occasional extra heavy wallet. One-hundred yen coins are especially popular for vending and ticketing machines as the primary denomination, but are even more popular for the Japanese gacha toy dispensers and purikura photo booths which take coins in increments of 100. One-hundred yen coins are also the most useful for quick runs to stores and coffee shops, making the one-hundred coin the most handy of all coins in Japanese currency. Front: Paulownia leaves with "Country of Japan" above and the value below written in Japanese kanji. Back: The numeral "500" with bamboo on either side, with the year of minting written in kanji below. Mandarin orange leaves dot the top and bottom, and a latent image is infused in the zeros to help prevent counterfeiting. The 500 Yen coin is about 70% copper, 20% zinc, and 10% nickle, and is, depending on the day and exchange rates across the world, not only the most valuable everyday coin in Japan but also in the world. It was introduced in the early 80s as a way to phase out the old 500 Yen banknote, but found itself the target of large-scale counterfeiting due to its similar weight to the much less-valued Korean won. The 500 Yen coin now carries latent imagery as a way to ward off counterfeiting but it's still considered a big problem in Japan. Due to its larger circumference, the 500 yen coin is also the biggest and heaviest of all Japanese coin currency. Front: Portrait of Hideyo Noguchi. 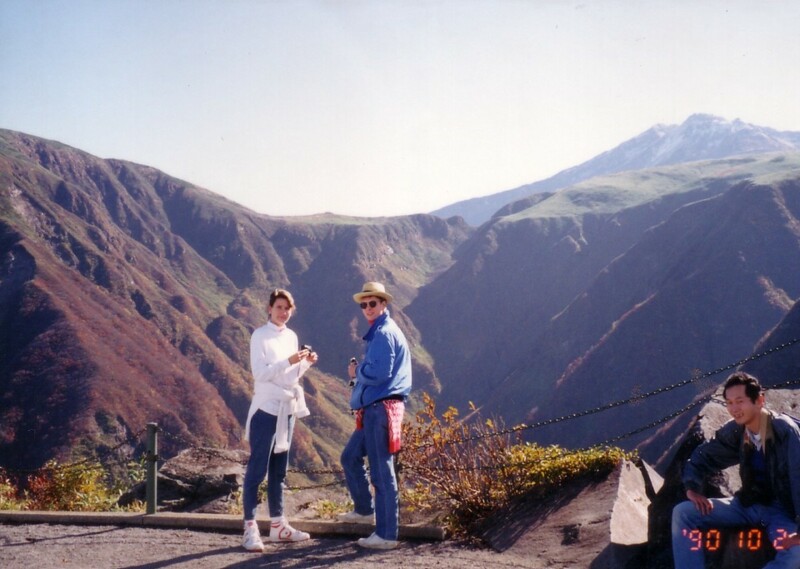 Back: Pictures of Mt. Fuji, Lake Motosu, and cherry blossoms. The main overlay color of the 1,000 Yen banknote is blue. Like most notes in world currency today, this note also includes many anti-counterfeiting techniques such as holograms, intaglio printing, watermarking, latent images, and special ink that reacts depending on the lighting and angles seen. The seemingly empty center circle actually holds a mirror of Noguchi's portrait if held up to the light. As the lowest denomination of Japanese Yen banknotes, the one-thousand Yen note is the most common and useful to have. Its current incarnation was introduced in 1984. Before, instead of Noguchi, the portraits contained Souseki Natsume, Hirobumi Itou, and Prince Shoutoku in that reverse chronological order. Front: Portrait of Ichiyo Higuchi. Back: Screen painting "Kakitsubata Flowers" by Korin Ogata. The main overlay color of the 5,000 Yen banknote is purple. Although of a higher denomination than 1,000 and a lower denomination than 10,000, the 5,000 Yen note is probably the least commonly seen in Japan. Most change from registers and ATMs are done in increments of 1,000 and 10,000. This is not to say that the 5000 Yen note is rare, though, just that one should not count on receiving one in change if desired. The same security measures from the 1,000 Yen note apply to the 5,000 Yen note. Its current incarnation was introduced in 1984. Before, instead of Higuchi, the portraits contained Inazou Nitobe and Prince Shoutoku in that reverse chronological order. Front: Portrait for Yukichi Fukuzawa. Back: Picture of the Chinese phoenix statue at Byoudou-in Temple in Kyoto. The main overlay color of the 10,000 Yen banknote is brown. 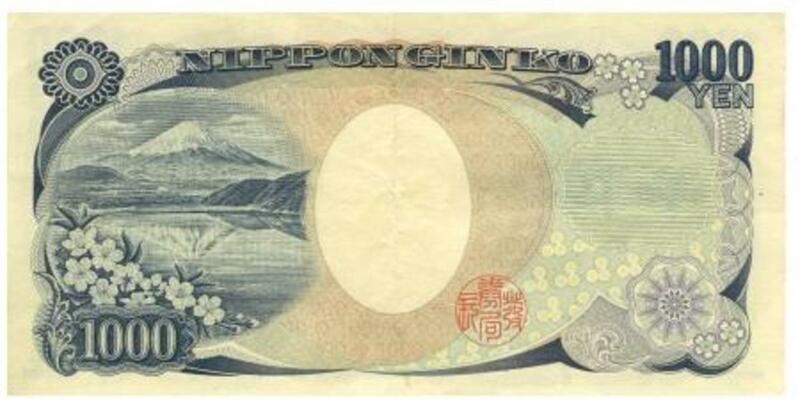 It is the largest denomination of currency available to the public in Japan. 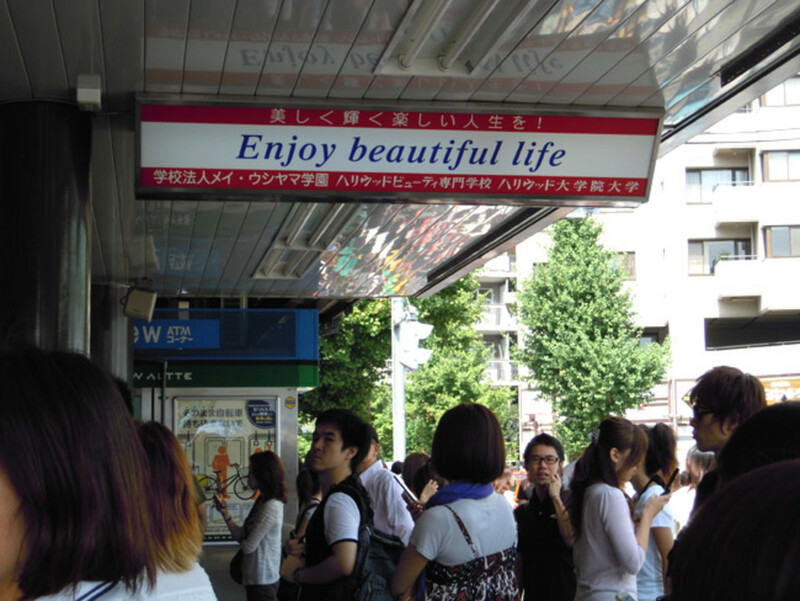 Although it is the highest, it is also readily seen and used by all classes as Japan is a cash-based society. Most wages and ATM transactions above 10,000 Yen are paid in these bills. The same security measures from the 1000 Yen note apply to the 10,000 Yen note. Its current incarnation was introduced in 1984. Before, instead of Fukuzawa, the portraits contained Prince Shoutoku. 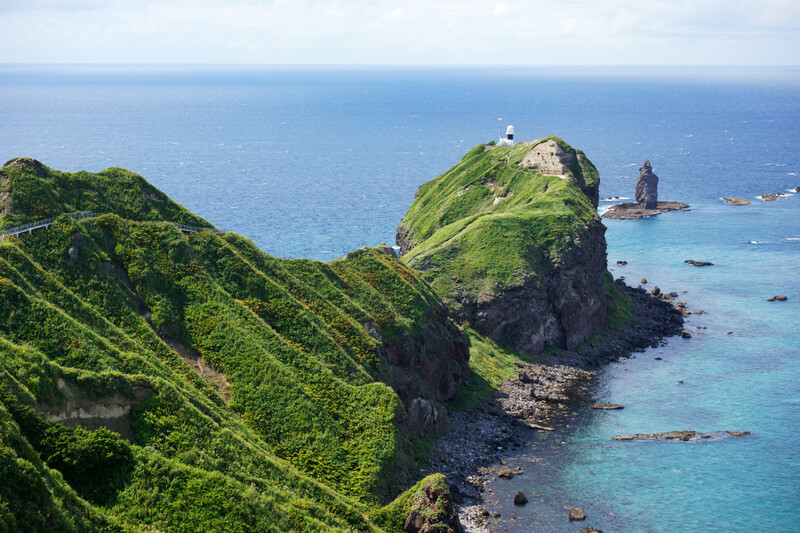 Front: Picture of Shurie-mon, a famous gate in Naha, Okinawa. Back: Picture from The Tale of Genji and a sketch of its author, Murasaki Shikibu. The main overlay color of the 2,000 Yen banknote is green. The 2,000 Yen banknote is the rarest of all Japanese banknotes and not often seen in circulation, although many banks will readily hand them out. Caution should be used when using these notes, however, as some shops, restaurants, and machines may not recognize them and thus not accept them. It is most comparable to the American two-dollar bill. 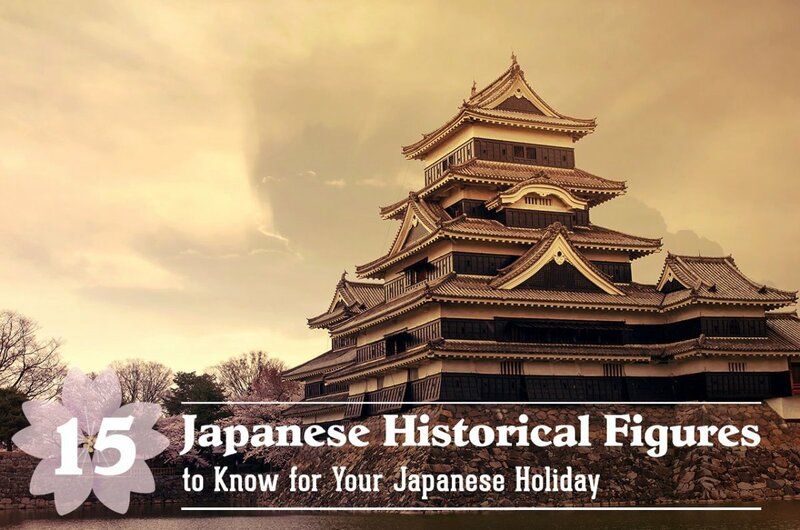 This information will make our next trip to Japan easier. This was very helpful for me! Thank so much for putting this together! ^Thank you both for your comments! Glad I could share my "useless trivia" about Japanese yen, haha. Interesting and well put together. Good info for all those collectors out there!